Billy Slater could miss the grand final through suspension. NEVER before has the weight of an NRL grand final rested so heavily on the left shoulders of two men a week out from kick-off. Sydney Roosters and Melbourne are equal on wins and split by just eight points on for-and-against at the end of the regular season, and some betting agencies have found it impossible to separate them. Their difficulty is also due to uncertainty. 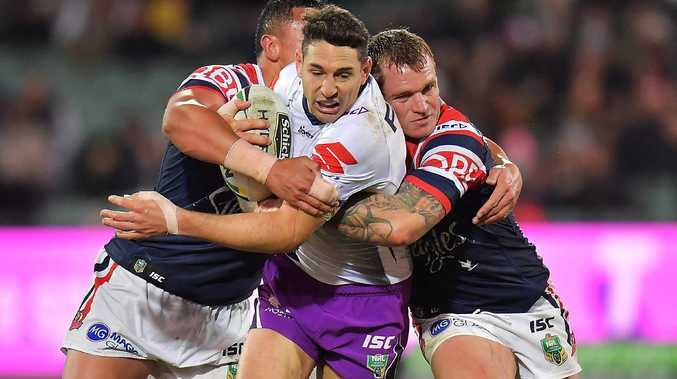 For the Storm, it's uncertainty about Billy Slater's left shoulder and whether Friday night's bump on Cronulla winger Sosaia Feki was just the "unfortunate contact" of two players sprinting at full speed the retiring fullback claimed it to be. If they can't argue successfully at the NRL judiciary on Tuesday that Slater was just bracing himself, the champion fullback's NRL career is over one week early. The importance of Slater to the Storm is obvious. Not only is he the second-leading try-scorer in NRL history after revolutionising fullback game play but he's just as good at it at the end of his 16th NRL season. Slater was immense for the Storm in Friday night's win over the Sharks. He scored two tries, set up another, busted through nine tackles and pulled off two try-saving plays, including the hit on Feki. "If Billy plays, Storm (win). 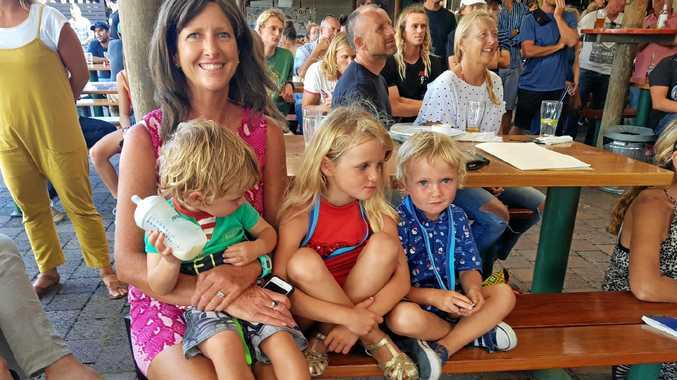 If he doesn't, it's the Roosters," NRL great Darren Lockyer said. "You could tell it was his last-ever game at that stadium and he wanted to play in another grand final. He was in everything. "He's 35 and he's still running round kids who are younger than him." For the Roosters, it's uncertainty about Cooper Cronk's left shoulder, and about whether he can lift it. Scans taken after Saturday night's 12-4 win over South Sydney revealed severe damage to his rotator cuff. Cronk spent most of Saturday's game with his arm hanging by his side. It was so bad he couldn't even kick for touch early in the second half. But Cronk is one of the most meticulous players the game knows and by Sunday, his race to be fit was well underway. The Roosters indicated immediately that he'd be given until just before kick-off to prove his fitness and become the first halfback to play in eight grand finals. All eyes will be on Cronk and Slater's left shoulders this week. Only one player making it into Sunday's decider could be pivotal to the result.